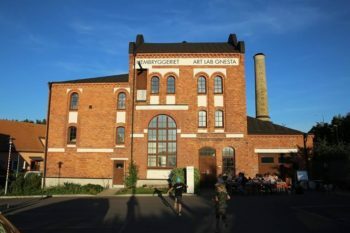 Art Lab Gnesta moved into the old brewery in Gnesta in 2010, and Hembryggeriet i Gnesta has rented parts of the building since 2015. Operations at the Gnesta brewery started as early as the 1870s, but the current building on Bryggeriholmen was not constructed until 1903, designed by architect Arvid Ahrnborg. Beer was brewed here until the early 1960s, when production moved to Vårby. 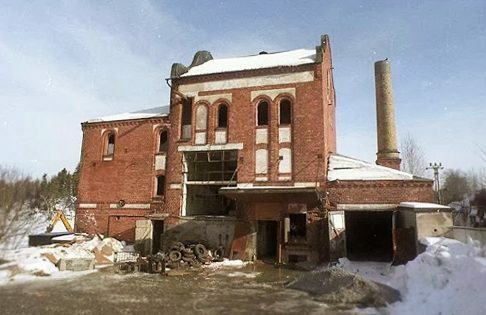 This led to a period of many decades when the brewery building stood empty. The property was purchased in 2010 by the Karl Schultz-Köln and Marita Mörck-Schultz Foundation, and renovation of the interior began. The aim of the foundation is to manage and make available the creative legacy from artist and industry designer Karl Schultz-Köln and furniture designer Marita Mörck-Schultz. More information about the history of the Gnesta brewery history is available at the Sörmland Museum. Karl Schultz-Köln remained active and a powerful voice in the planning of the brewery’s future until his death in 2013 at the age of 92. A book about his life and work was published in the spring of 2014, and work with a documentary is in progress.